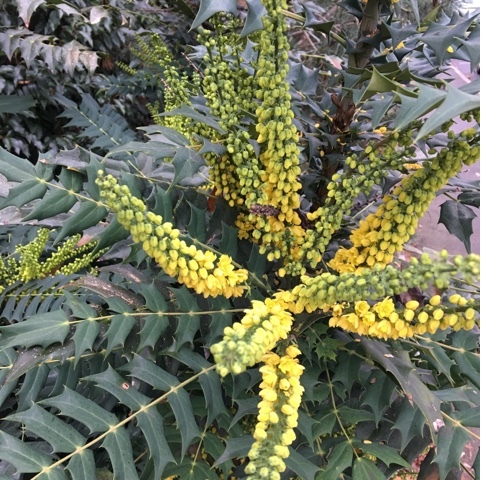 Mahonia. These always look way too exotic to be flowering at this time of year. They're really fragrant in the sunshine too.